tonight we bathe in hell? 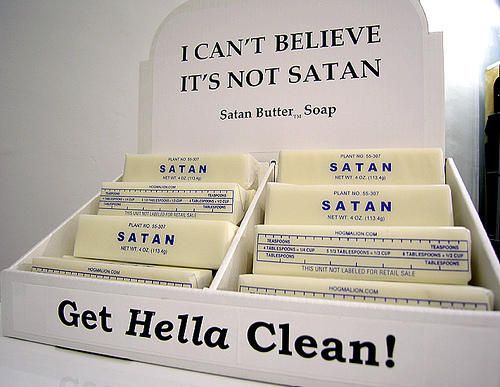 This makes me think there is one guy out there whose soap actually is satan. Just like the Buffalo Sabres player named Miroslav Satan, but it’s pronounced Sha-tan. If only they traded him to the New Jersey Devils….